A PC, data cable and a phone. MauiMETA 3G : Download MauiMETA 3G. Step 1. Download all above, extract as needed. Step 2. 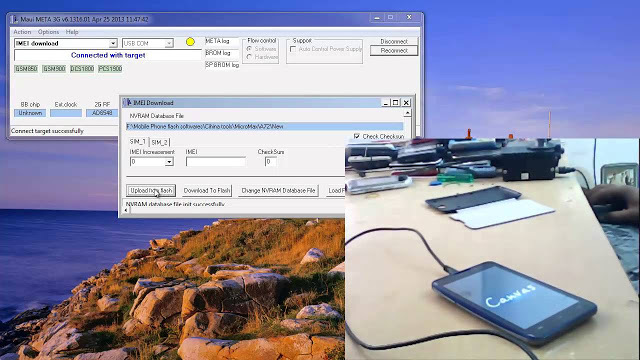 Connect Phone to PC in USB debugging mode and install drivers. Step 3. For windows 8.1/8, move your mouse to top right corner and click on settings-power. Now press and hold shift and click restart. from advance options select 7 to disable driver signing. Step 4. 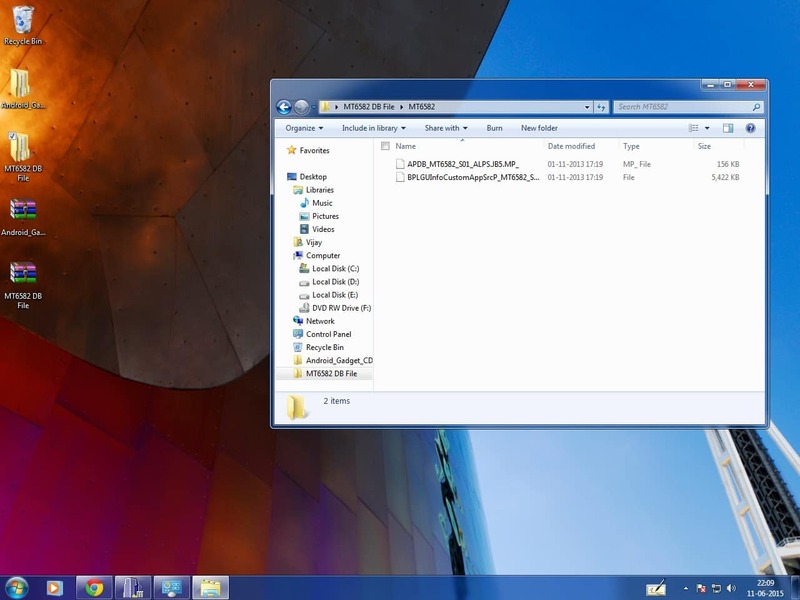 Once PC is restarted, press windows key+pause break to open system properties. Step 5. 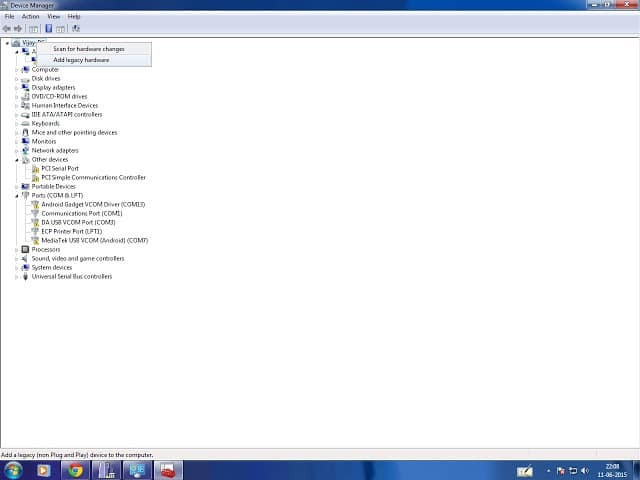 From left select device manager. From actions menu click add legacy hardware. Step 7. Click next and select Install the hardware that i manually….. (advanced), click next, select show all devices, click next, click have disk, then browse, locate SP_Drivers folder and select CDC-acm.inf, click open, click OK, select Mediatek Inc. and MediaTek USB VCOM (Android), Click next and next again, click finish. Refer below image. Step 8. Install MauiMETA and run it. 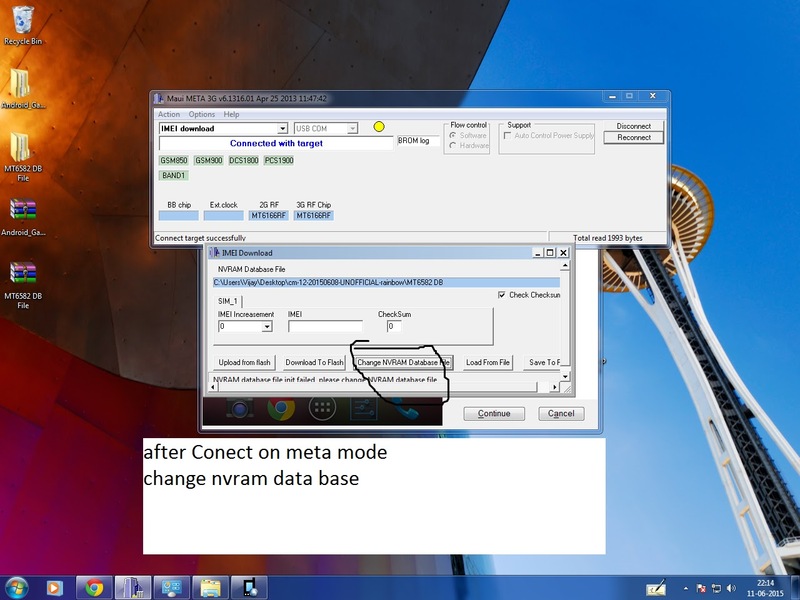 Use USB COM and from Options menu select Connect smart phone in meta mode. Step 10. Now from drop down menu select IMEI download. Click OK till you see IMEI download box. MT6582 DB FileMT6582BPLGUInfoCustomAppSrcP_MT6582_S00_MOLY_WR8_W1315_MD_WG_MP_V5_1_wg_n (BPLGU modem file for MTK6582). Click OK on any warning. Step 13. Press Download To Flash. 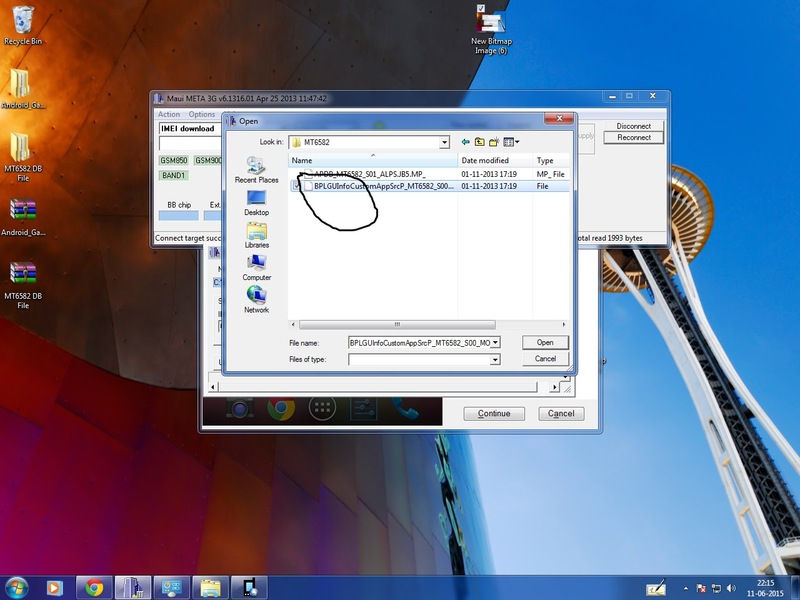 You will see Download IMEI to flash successfully. 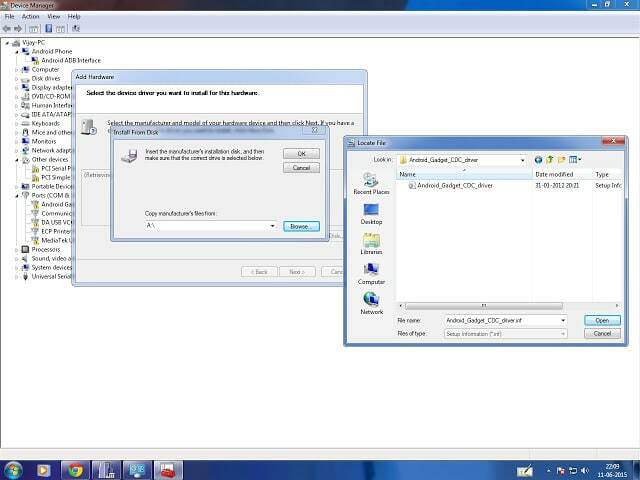 Now close the box (or Alt+F4 or close from task manager if stuck). 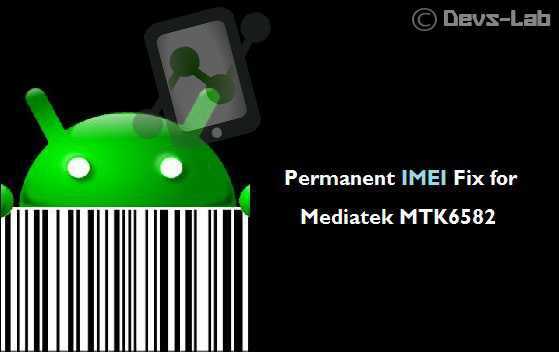 IMEI Fix for Mediatek Android Device. I Hope this method works for you. Don’t forget to like, +1 & Share this post with all other Mediatek users. If you are stuck at any step, feel free to ask your doubts in the comment section. Have a good day !